Carbon fiber timpani mallets of varying felt thickness and core hardness for tonal and dynamic versatility. 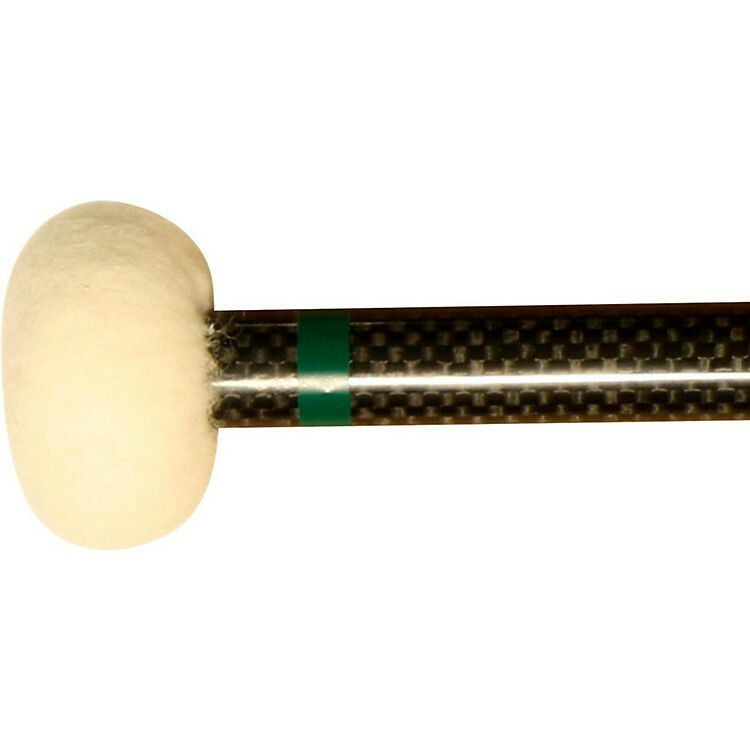 The CF2 Carbon Fiber Timpani Mallets offer an additional felt strip around a wood core, combined with the same exterior felt as the CF2 (medium hard), produces a well balanced mallet suitable for both rhythmic and sustained passages. Ideal for applications when time is limited to switch from an articulate mallet to a cartwheel or legato mallet. Carbon Fiber Series timpani mallets are weight and pitch matched precisely, with the carbon fiber shafts providing consistent feel and response with no vibration feedback. The exterior felt is meticulously hand sewn and fitted to each mallet precisely.